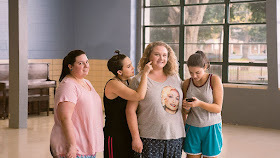 When I heard that Dolly Parton was providing the soundtrack to a film called Dumplin' about a young plus size girl entering a beauty pageant I was both filled with excitement (because I absolutely ADORE Dolly), and absolutely terrified, because I feared that this would be the same sort of fatphobic trash as Insatiable. I was even more excited when I saw Ginger Minj join the cast, she's one of my absolute Drag Race faves. I crossed my fingers and I hoped for a movie I could love. What I got was a feel good movie that made me cry several times! We're introduced to Willowdean, a plus size high school student whose Mom is a home town famous pageant Queen. Willowdean is dealing with the loss of her beloved Aunt, a woman who taught her to always be herself. 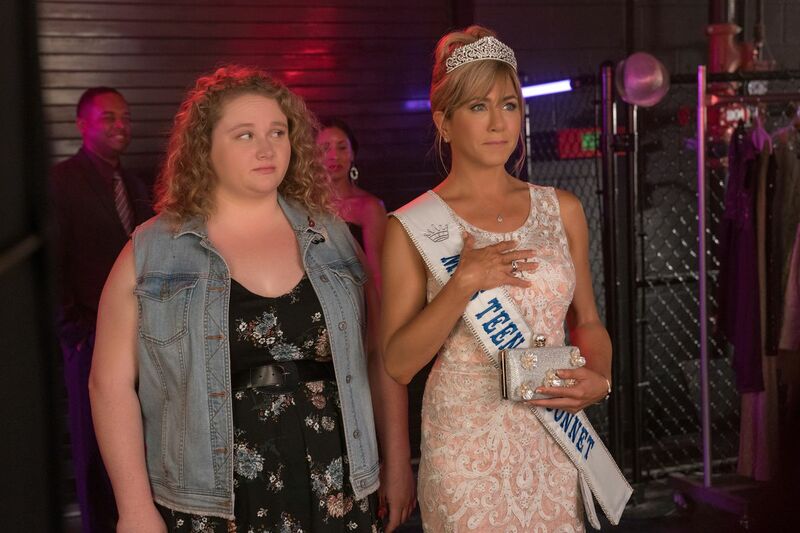 In her Aunt's memory, Will decides to sign up to her Mom's pageant in protest, and prove that all bodies are good bodies. Will isn't the only one who joins the pageant to protest, another plus size student Millie who has always wanted to be in a pageant enters, Will's best friend Ellen (the only problematic character I had an issue with! ), and Hannah, who enters the pageant as a fight back against the patriarchy. Hannah is played by Bex Taylor-Klaus who is non-binary, it's amazing seeing an LGBTQ* character played by an LGBTQ* actor. Plus I'm a huge fan of Bex Taylor-Klaus after I saw them in the Scream tv series, what a babe! Ellen is the only character I had any real issue with, with the utterance of the line 'For the record, I never saw you as fat', when she and Will had an argument. It's typical of the sort of platitudes thin people offer fat people to try and make them feel better. There's no avoiding that we are fat, we know you know we are fat,so don't try to butter us up with platitudes. It's not something we need to hear, we know it's a lie, and it's something you only say to pretend you're a good ally. There are drag queens, divas, and the Dolly Parton soundtrack of my dreams! There's even romance for Willowdean, and for once, the fat character doesn't have to change their appearance to find love. She finds it exactly the way she is, she just has to learn that she can love herself, and that she can believe others will love her fat body too. It's a story so many of us who are fat need to learn, and it's a story so many of us will see ourselves in in one way or another. It's not a film that's about to win any Oscars, but it is finally a film with a plus size lead that is a feel good delight of self love. I laughed, and I cried, and I ended the film with a smile. And I will absolutely watch it again, and search out the book it's based on. I've seen negative reviews of Dumplin', and most of them seem to come from thin men. Well this isn't a film for thin men. This is a film for every plus size babe who had to learn to love themselves growing up. This is a film for every fat teenager who doesn't believe they are worthy or deserving of love. This was a film for a gal like me.